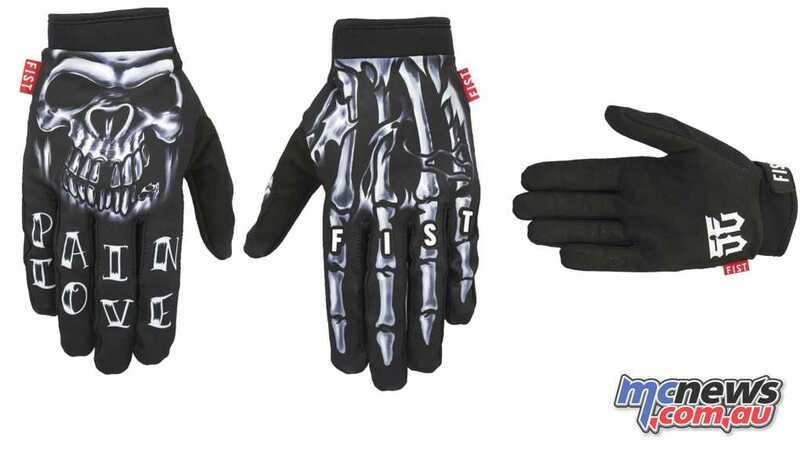 FIST Handwear wanted to celebrate the essence of going big on a dirt bike and what better way than a pair of gloves that mirror the tattoo’s on the back of Seth Enslow’s own hands! Plucked from obscurity in the nineties and made famous by the Crusty Demons of Dirt franchise, Seth Enslow was synonymous with go hard or go home. 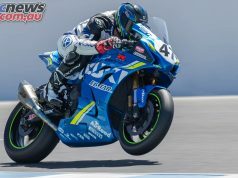 Huge jumps and even bigger crashes saw Enslow become a household name in moto circles around the world. 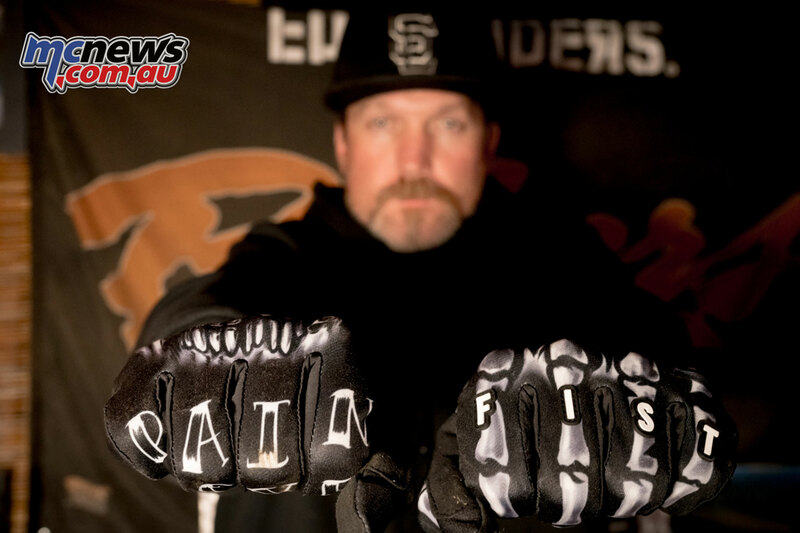 “I talked with Sammy from FIST about doing a signature glove using the tattoos on my hands as the artwork. We did a shoot on my hands and had the artwork re created and I am very pleased with how the gloves turned out. 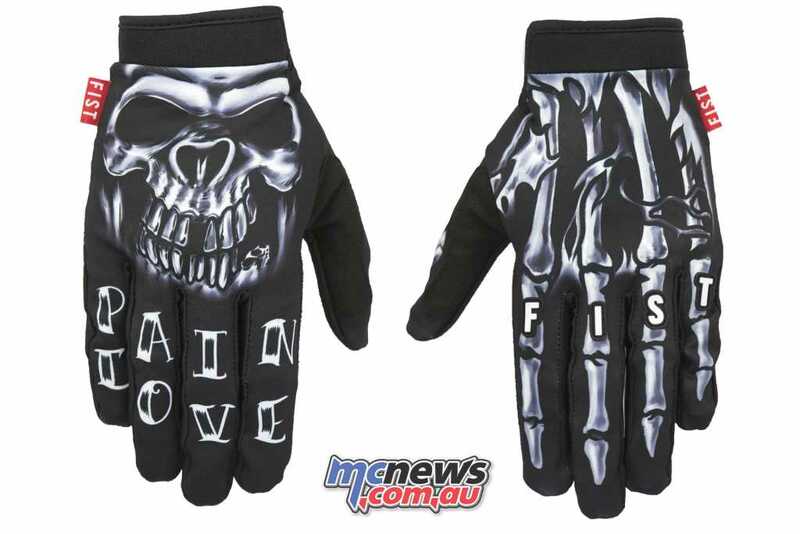 I like how both gloves are different artwork with the FIST on the knuckles of one hand with PAIN and LOVE on the other” said Enslow. 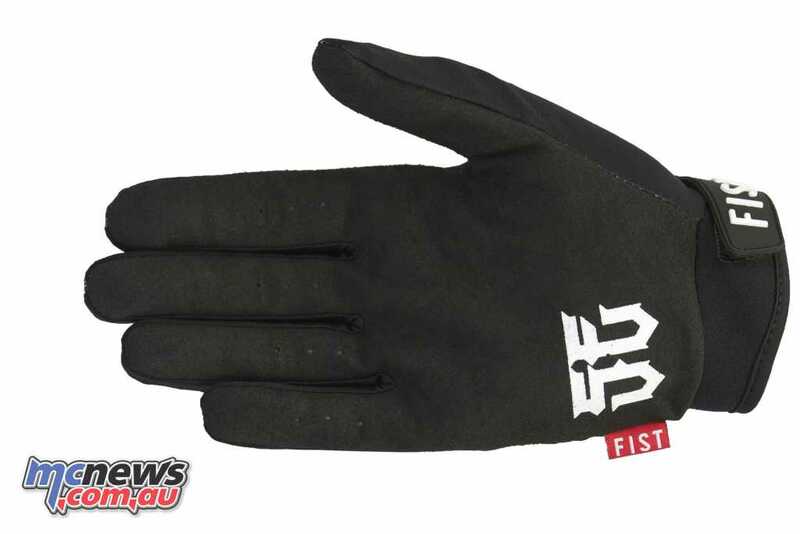 The Seth Enslow glove is a part of the strapped range of gloves offering custom Fist–tight closure with broad adjustment range gives a secure fit and optimum grip. Durable Clarino pre–curved palm for the best wear without sacrificing feel and is also form–fitted for superb breathability and flexibility without bunching or blistering. Sublimated twill spandex uppers for supreme comfort and the tacky silicon print on palm and fingers giving maximum grip even when the going gets wet! 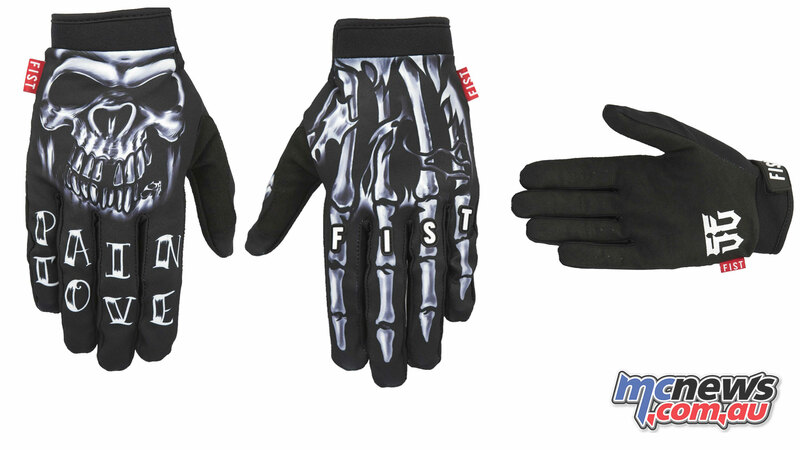 The Seth Enslow gloves, along with the complete FIST Hand Wear range is available from all good motorcycles stores right now! See the Ficeda Accessories website (link) for more information.